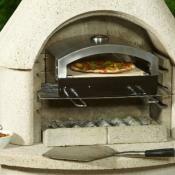 Mediterrani Dark Slate Masonry BBQ - Incredible Quality and Performance. 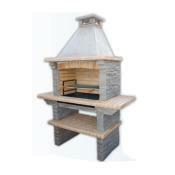 but an impressive feature in your garden for parties and entertaining. An outdoor barbecue which comes complete and ready for self-assembly made of cast dark slate to give a lovely rustic looking effect in a pleasant colour. 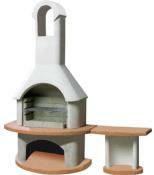 This style enhances any outdoor cooking area. 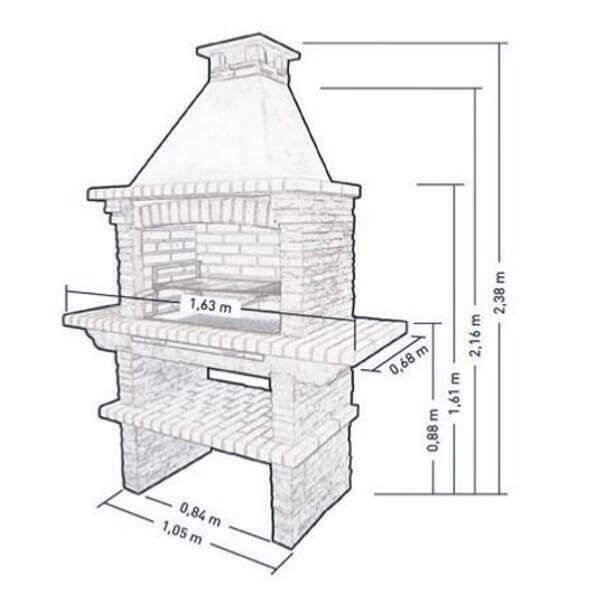 The internal area of the BBQ is made to give an impressive performance and uses charcoal as a fuel. Strong side tables allow for easy cooking and food preparation whilst the lower shelf allows for storage of firewood or cooking utensils. 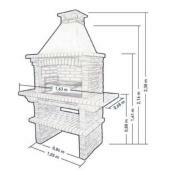 The BBQ has very good thermal qualities allowing for high temperature cooking. Supplied with a grill, adjustable on three levels, charcoal tray and ash collector - plus full, easy to follow instructions - ready to go in one hour! Easy assembly with adhesive supplied - no paint required. Unique Dark Slate Effect Design. 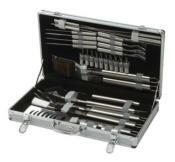 Adjustable Chrome Plated Cooking Grill. 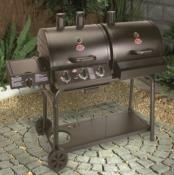 Weight: 860kg – Size (cm): 238 (H) x 163 (W) x 68 (D) - Cooking Grill Size: 76cm x 44cm. This item is delivered on a pallet.